Another newly finished small quilt. 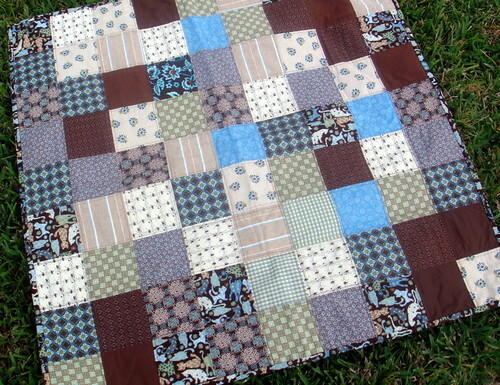 Very simple clean patchwork quilt. Lots of blues, browns, and tans. And, for fun, both cat and bird prints ... because that just amused me. Suitable for a boy or a girl. 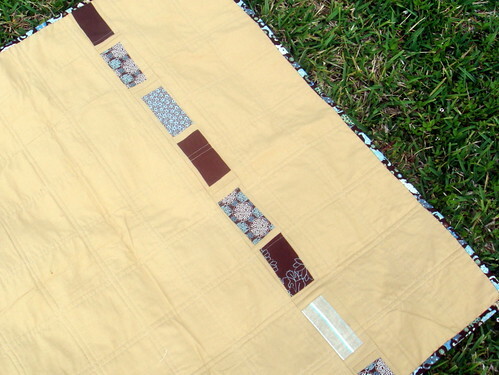 One row of rectangular blocks along the back, set on a tan background. 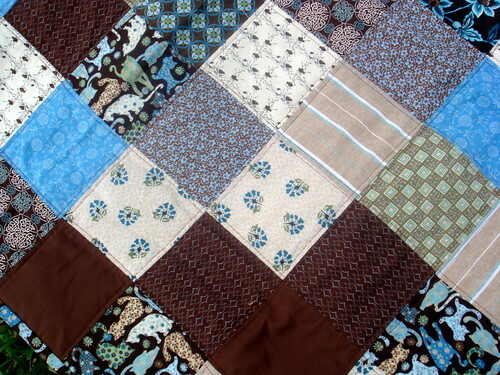 The rectangles are not perfectly straight, I was playing with a new quilt idea and wanted to see how it turned out (I love it). 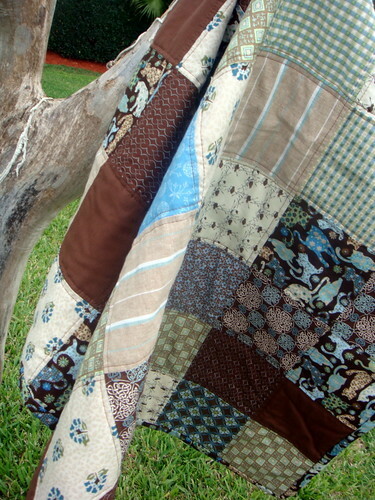 Heading to Etsy as soon as possible, as is the maverick star quilt. 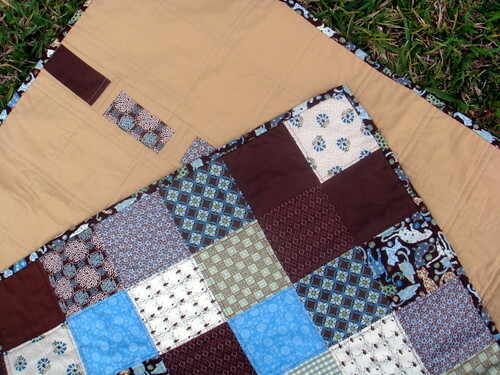 I am a new quiler, the backs of your quilts are amazing. You inspired me to use your concept on the back of the scrap quilt I am working on. Thanks! What a beautiful quilt. I just love the colour combination - not one I would have thought of but it works so wonderfully!